Veris Consulting was on an upward trajectory as a partner at a preeminent DC law firm. The grandson of two top lawyers in pre-Castro Cuba, he felt he had achieved everything they could have wanted for him when they immigrated to Miami. And then in 2006, his father-in-law, Larry Johnson, asked him to leave the practice of law and join the management team of his firm, Veris Consulting. Now as president of the successful consulting firm, Caraballo tells HE about his experiences going from lawyer to businessman. When his father-in-law made him an offer he couldn’t refuse, Arturo Caraballo took a leap of faith by leaving behind the practice of law to join the management team of Veris Consulting. The history of Veris begins with Larry Johnson and the accounting firm that he founded when he left Ernst & Whinney in 1986. Johnson Lambert & Co. was Larry’s first attempt to create an environment in which his professional staff could have sophisticated client experiences, but as part of an informal, entrepreneurial, and collegial corporate culture. Veris, which was established in 2000 to acquire the forensic accounting, financial management, and survey-research practices that had been developing at Johnson Lambert, inherited those same principles. 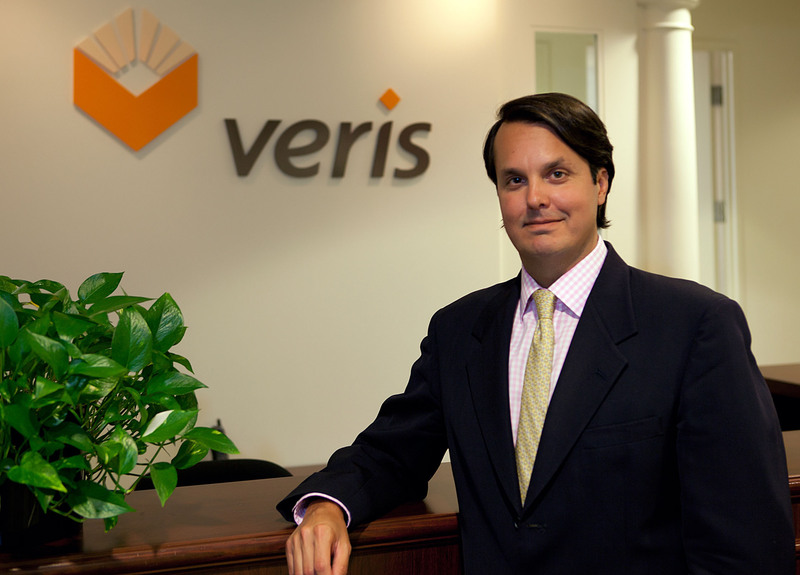 I joined Veris in 2007 as managing director of strategic operations and general counsel. Up until that time, I was perfectly content practicing law, developing a specialization in international corporate and sovereign finance transactions. When my father-in-law called me in October 2006 to offer me a position at Veris, I was caught completely off-guard. I was deeply honored by his offer. However, I had more than a little trepidation embarking on an entirely new career at a time when my existing career was just starting to take off. In spite of all of that, I was really intrigued by what Larry was proposing and so we began a conversation. It became clear to me pretty quickly that this was an opportunity for personal and professional growth that would likely not come around again soon or ever. Larry had great success in his previous endeavors. Veris was experiencing similar success and I wanted to be a part of that. Realizing those things, my decision became quite easy and I jumped at the chance. Professionally, moving to Veris was an opportunity for me to become a decision maker and help define the future of an established firm. The fact that this organization happened to be founded by my father-in-law and was his biggest asset did not escape me then and continues to drive my commitment to the firm today. When I first joined the firm, I was charged with exploring certain strategic growth opportunities that Larry had identified for the forensic accounting practice. In 2009, I was named president of the firm and, consequently, my role expanded to include greater involvement in the firm’s operations, as well as a larger role in not just executing but defining the firm’s broader strategic objectives. Today, my role touches most every aspect of the firm. Working at Veris has allowed me to strike a balance between my work and personal life. During my days at the law firm, I failed miserably at establishing limits between the demands of my clients and the needs of my growing family. At Veris, we believe it is important for our professionals to have interests outside of work and, more importantly, the time to pursue them. We demonstrate our commitment to that belief through things like our utilization expectations, our vacation policy, our half-day Friday policy, our annual spring retreat, and the various other social events we put on for our employees throughout the year. I have always viewed Veris as a family business. Since I joined the firm, we have established an ESOP [Employee Share Option Plans] and the firm is now partially owned by our employees. The ESOP is a significant component of the firm’s succession plan, but it has not changed my view of the firm as a family business. In my mind, the family has only gotten bigger. As for the future, we are focused on positioning Veris to continue to grow by further penetrating the markets we currently serve and branching out into complementary service lines. We are also committed to remaining an independent business and have no plans to sell the business to a larger firm. Most of all, we will always work hard to maintain the corporate culture that has always defined who we are.